Nestled in a tropical garden with great ocean views above Samara Beach, Casa Papaya is a relaxing retreat after a busy day of sun, sand, and surf. 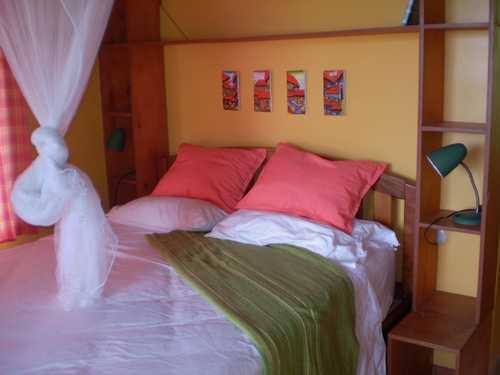 Two bedrooms and an extra futon in the living area make a great base for a family or a pair of couples – sleeps 6. 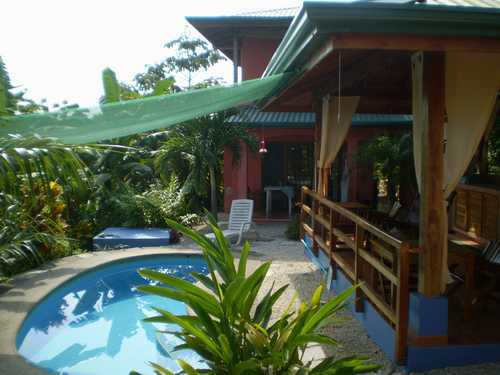 Casa Papaya shares a “get cool” pool and shady rancho (covered terrace) with Casa Mango, also for rent. Rent both houses for a fun family reunion. S tretch your vacation funds by cooking at home in the fully equipped kitchen. Set out the breakfast buffet in the poolside Rancho. WIFI is available throughout the garden and house. Designed for comfort and natural ventilation, the house enjoys tropical ocean breezes and stays cool without AC – paddle fans in every room. 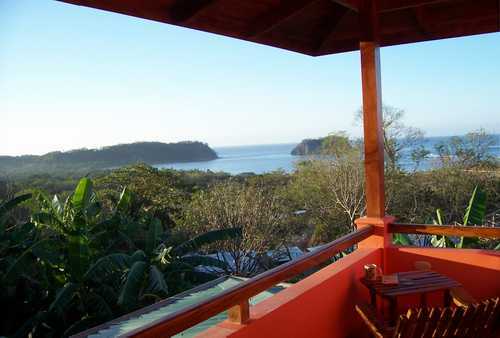 Amenities – Casa Papaya is designed for comfort with private terraces that expand the living area. Sea breezes keep the house cool. 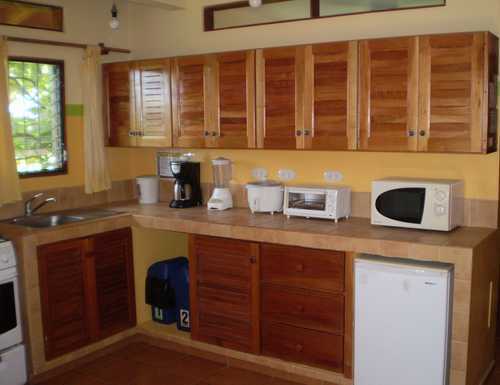 Fully equipped kitchen including range, microwave, toaster oven, blender, & coffee maker. A haven for wildlife is the farm/woods next door. You can brush your teeth with a view of the monkeys in the Cecropia tree – they’re getting high eating the leaves. The private master terrace is great for bird-watching in the morning. A private outdoor shower lets you cool off in the fresh salt air. 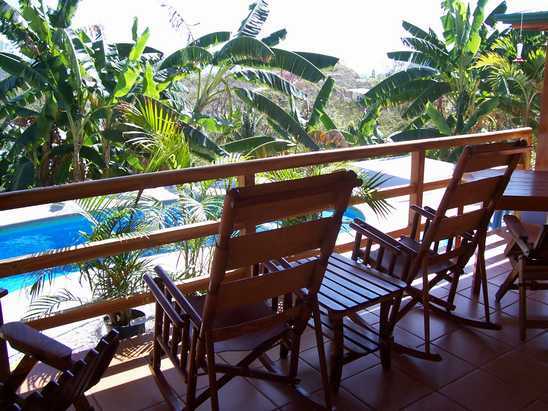 Casa Papaya is a little larger than Mango, with 2 bedrooms and two baths, but it shares the same great private garden setting, “get cool” pool, and covered rancho. It has a great ocean view from the Master Terrace. Beach Access – Casa Papaya shares two exquisite tropical beaches, each protected by a reef. 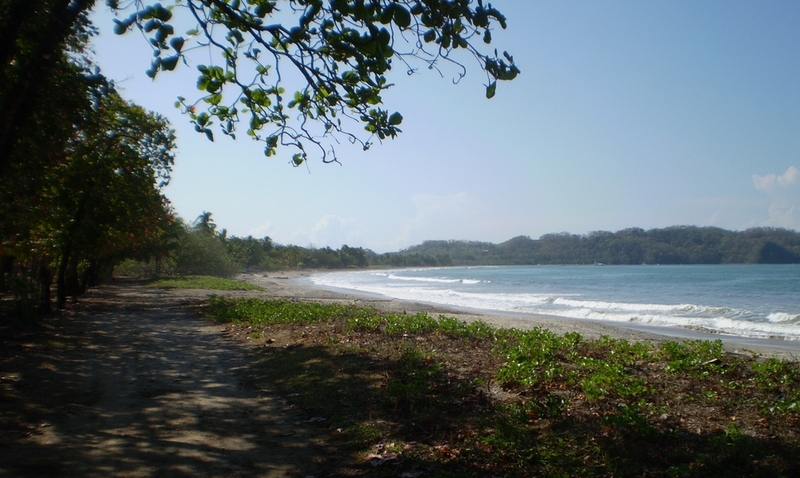 Playa Samara, with 4 surf schools and gentle waves for swimming or learning to surf is just a short walk from Casa Papaya. Paddle out to Isla Chora or snorkel at either end of the bay. Fresh fish are sold in the afternoons at the eastern harbor. Playa Carrillo, which you can see from the upper terrace of the house, is even prettier and quiet, lined with rows of palm trees instead of hotels and restaurants. Just a 4 kilometer drive, there you’ll have the beach to yourselves most mornings. You can swim in the gentle waves, lie under the shaded palms or hike around the point at low tide. 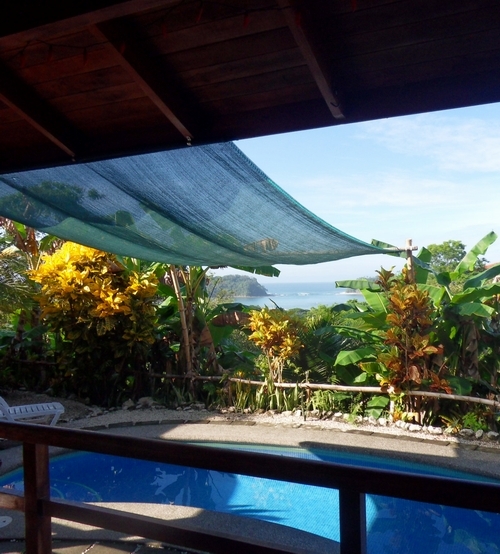 Location – Above the beach of Playa Samara – hence the terrific view – 1 km east of downtown Samara. It’s just a short walk from Casa Papaya to the nearest beach access at the village of Matapalo, where there are groceries (Super Stefanie). From there you can walk 1 km along the beach past restaurants and surf schools into the town of Samara, where there is more of everything, including two banks, shops, and tour agencies. Removed from the noisy activity downtown, but close enough to walk to the beach and then into town when you want more action. In the hills above the bay, the nights are quieter and there are less bugs and cooler temperatures than at the beach. If you follow our road up the hill 4 km, you’ll arrive at the pretty village of Santo Domingo. Sunday football with a breathtaking ocean view. 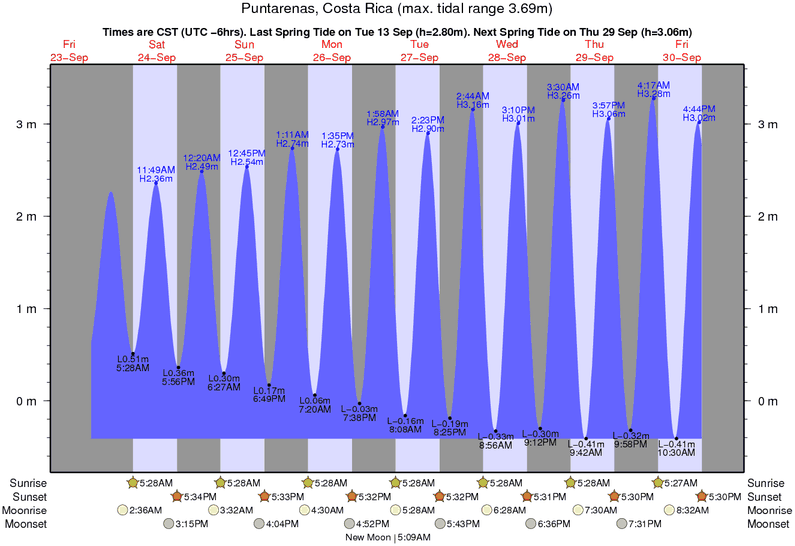 From both airports – Liberia(2 hours)and San Jose (4 hours) – the roads to the house are paved, door to door. For a rental quote, contact me at lavae@casaelgecko.com.